While Dr. Miller was born in Michigan and has lived in several other parts of the country, he has called Virginia home for the past 17 years. Dr. Miller is married to his high school sweetheart, Shannon, and together they have two young children, Makenzie and Jaxon. Dr. Miller received his undergraduate degree from Liberty University. After graduating he spent 5 years teaching (biology/chemistry) and coaching (golf, wrestling, tennis) at Liberty High School in Bedford, VA. He then went on to graduate from the VCU School of Dentistry and has been practicing in Chatham, VA since that time. 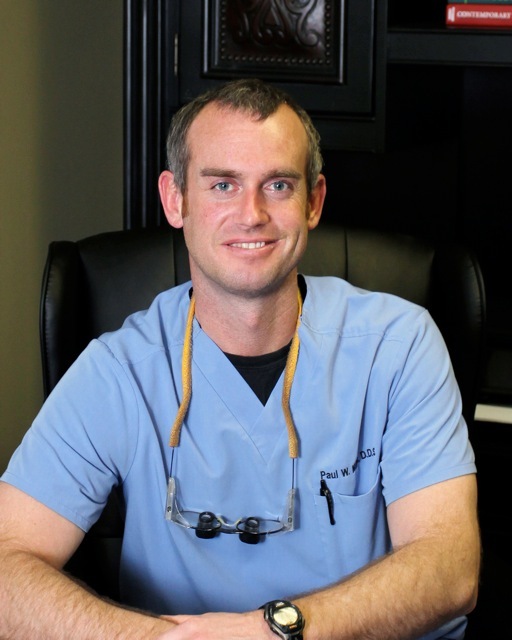 When he isn't busy with his growing practice and young family, Dr. Miller enjoys playing golf and hunting. He also enjoys traveling and has been to 49 states and hopes to mark Alaska off in the near future.